"According to the official figures by the Department of Wildlife, annually an average of 120 elephants die, while 65 human beings are being killed by the elephants. 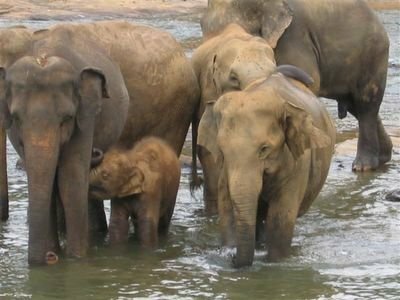 There were 17,000- 18,000 elephants in Sri Lanka in the last century. Now there are only 4,500-5,000 elephants alive in Sri Lanka" says Mr.Jayantha Jeyewardene, Managing Trustee of the Biodiversity & Elephant Conservation Trust.